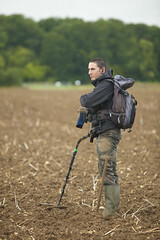 Minelab have recently launched their brand new detector, amid a sea of hype. After a 48 hour countdown took over the Minelab site, fans were left waiting to see what would happened next. And finally the clock reached zero…. Minelab are releasing their brand new TREASURE detector – the CTX 3030 – which will go on sale on May 28. The new CTX 3030 has been the talk of the Joan Allen Facebook page since Minelab revealed it’s new detector. The new CTX 3030 is now on the Joan Allen website and goes on sale in just over a week. The price of Minelab’s new detector is set to be unveiled on Friday 18 May, so make sure you Like Joan Allen on Facebook to find out all the latest news.